Metro Atlanta home buying strategies can be vital as you enter the market this spring in search of a new home. While a home search is always an exciting and challenging one, in what is currently a sellers’ market, it can be especially daunting. Chances are pretty good that a seller will have his choice of buyers and offers from which to choose. That makes it a little more difficult in the event you find “the” home that’s right for you and your family. If you’ve bought a home before, you know the feeling. You’ve searched high and low and visited numerous open houses and finally found that “just right” home that meets all your needs – and is perfect for your budget, too. But, what happens if the seller isn’t as excited about you or your offer as you’d like for him to be? Then what? Let’s look at five Metro Atlanta home buying strategies that may help you deal with a seller who doesn't necessarily like you or your offer for his home. First, remember a seller can refuse a prospective buyer for any reason. While it’s unusual for people selling their homes to be finicky or fickle, it’s not unheard of. Plus, as mentioned above, in a sellers’ market they may be able to afford to be a little more stubborn when it comes to the sales price, the terms, any contingencies, or the closing and move-out date. Hit Them With Your Best Shot. No, not literally, even though it may be tempting, we’re not advocating violence! What we’re suggesting is that if you submit an offer and suffer through the back-and-forth of counter offers, it could be time to stop playing games and wasting time. Cat and mouse can be fun and challenging, but we're talking about a home here. If you like the home and want it, make your very best offer. At that point – win or lose – you’ve done all you can do – and now the proverbial ball is in the seller’s court to accept or reject your best deal. While they may reject your offer and hold out for a better one from another potential purchaser, sometimes they may rethink your offer a few weeks later. Keep on Keeping on. Another of our recommended Metro Atlanta home buying strategies is to “cut your losses and move on.” While doing so is difficult and often heart-wrenching, sometimes it’s necessary. If the seller isn't open to working with you or negotiating, it could be time to throw in the towel and move on to the next listing. Wasting time, talent, energy and desire on wanting the seller to see the deal the same way you do may mean you’ll lose out on the next “perfect’ home out there – and trust us, there’s always another one waiting. Live and Learn. The best coaches in the country – no matter the sport or the level of competition – will say, "…other than preparation and execution, learning from mistakes in competition is very important for the next game." So, when things don’t go exactly as you planned, take a little time to try to figure out what went wrong – and learn from it for the next negotiation on the next house. The more you understand about what worked and didn’t work, the more likely your next transaction will be more successful. Just like most things in life, it’s critical to live and learn. Don’t Overthink This. While you’re performing your analysis on the experience you’ve had in negotiating with or trying to work with a seller in buying their home, be careful not to overthink the seller. As is the case with most people – even close friends and family – nobody really knows what goes on inside a seller’s head. Maybe they’re not really ready to let go of their home. Maybe they’re holding out for every single dollar they can squeeze out of the deal. Perhaps they aren't prepared to move and are dragging their feet in an effort to buy time. Whatever the reason, don’t waste precious time trying to figure out the seller and his motivations or desires. Move on to the next property and concentrate on it. Self-Analysis Can be Healthy. Metro Atlanta home buying strategies can be useful – but only if you use them to your advantage and to accomplish your necessary goals. So, remember this: If you keep trying to work with sellers that refuse to cooperate, maybe you’re the problem, not them. Identify a seller who is both motivated and serious about selling his home. Work with them and make the best deal you can. Don’t waste time pining over the “one that got away,” as there are other fish in the sea. Keeping a positive attitude and a feeling of optimism in the face of rejection or disappointment may mean the difference between finding the right home and becoming frustrated. Stay positive and get what you want. Read more about home buying advice in the section of articles on Atlanta Home Buying Tips just below our Atlanta Real Estate Categories in the column to your right. Remember, we also post tips daily on Facebook and Twitter. Check us out there, too. We’ve assembled a Metro Atlanta home buying checklist for people thinking of entering the real estate market, looking to buy a house. Let’s take a look at these seven important tips. 1 – Home buying should be for the long haul. Not too long ago, buying houses and turning around and selling them (or “flipping” them) was a popular way to make money. Today, we recommend considering planning to live in the home you buy for at least 7-10 years. Of course, there’s no hard and fast rule. People move where their jobs take them – whether it’s across town or across the country – but give consideration to whether you’ll likely move within the next few years before you decide to buy. For some people, it may be better to rent for a few years. 2 – Do some soul-searching before you decide to buy. Your Metro Atlanta home buying checklist should include asking yourself a series of tough questions to make sure your heart is in what you’re about to undertake. Buying a home is the single largest purchase most people will make in their lifetime – make sure you recognize that, and treat it importantly. 3 – Ask yourself these questions: Will you choose to start a family soon? Do your needs require a home with a large yard for a growing family or your pet(s)? How do you feel about yard work? Do you like the city better than the suburbs? 5 – Buy within your budget. One of the most important items on your Metro Atlanta home buying checklist should be to focus on what you can comfortably afford. Remember, mortgage lenders will use your debt-to-income ratio (DTI) to determine whether you qualify for home loan financing. Before you start the home shopping journey, take a look at your DTI. Take the total of all your recurring debt including your proposed monthly mortgage payment (PITI) along with other monthly debt like credit cards and car payments. Divide that total by your gross monthly income. Most mortgage lending experts say your DTI should be 36% or lower. The most important thing to remember is this: Take out the loan and the monthly payment you can comfortably afford, not necessarily the one you qualify for. Making a higher monthly mortgage payment is no fun if you can’t afford to buy steaks for the new backyard grill occasionally. Some experts recommend buying a home you can afford based on one income. That way, should you or your spouse lose their job or get laid off – or elects to become a full-time parent – you can still comfortably pay for your home. 6 – Consider the tax advantages. The tax benefits are a big part of any Metro Atlanta home buying checklist. Currently, the mortgage interest you pay on a primary residence is tax deductible. So, the tax savings are of huge consequence since you can deduct your home loan interest and your real estate taxes from your gross income. For example, if you earned $75,000 in gross income in 2016 and you paid $10,000 in mortgage interest and your property taxes were $2,000, you could lower your taxable income to $63,000 – saving you a bundle on income tax. 7 – Create a moving account. Another important item on your Metro Atlanta home buying checklist is to start a move-in fund. Of course, you’ll have to have a down payment, but don’t forget other things like closing costs, moving expenses and other necessities for your new home. If you’ve been renting, for example, you may need to purchase a lawnmower and other lawn care equipment – along with that backyard grill! 8 – You may choose to rent, if you’re not ready to buy. Let’s face it…sometimes it’s not a good idea to buy. Maybe after you review your Metro Atlanta home buying checklist you’ll realize it’s not the right time. If you’re not ready, don't force it. Rent instead. You’ll be happier, healthier and financially wiser to put it off a year or two until you feel more comfortable. Save your money. Find a better job. Get your finances in order. Do your homework. Then when you’re ready to buy you’ll be that much more prepared. Metro Atlanta home buying advice is usually limited to ideas and tips to help you begin the house hunting process and what to do during each step of that process. Let’s take a look at several things to consider after you’ve found a home and are preparing to close the deal. So, you signed the contract to buy your home and all that’s left to do now is sit back and wait for the closing day to get here. Right? Well, not exactly. There are a few important considerations to remember on the road to becoming a homeowner – regardless of whether it’s the first time or the fifth! Until your loan is closed and the papers are signed, the interest rate your lender quoted you won’t last forever. Mortgage interest rates can and do change daily. Normally, a bank or lender will lock-in your interest rate for a reasonable period of time in which to close your loan – usually between 45 and 60 days. If the lock expires, you may have to renegotiate and pay a higher rate. Keep a watchful eye out for hindrances along the way that may prevent your loan from closing during the rate-lock period. Keep in touch with your attorney during the preparation of the closing paperwork and let him or her know to alert you if there are any title issues as soon as possible. In some markets, a walk-through of the home before final closing is more prevalent than others. Most real estate sales contracts allow for a walk-through up to 24 hours prior to the closing of the sale. Another piece of Metro Atlanta home buying advice: take advantage of the walk-through. For your own peace of mind, visit the home with your real estate agent – just to make sure everything’s as expected. The often tedious and time-consuming mortgage process isn't over until the loan is officially closed. Even though you’ve received mortgage loan approval from your lender, in today’s more cautious credit lending environment some mortgage lenders choose to re-verify income, credit or other qualifications just prior to the loan closing. Our Metro Atlanta home buying advice, therefore, is to not make substantial changes to your financial situation until the closing is over. For example, don’t immediately go out and buy a brand new car for your brand new garage. And, don’t apply for new credit cards or other credit accounts or take a new job – without talking to your mortgage loan professional first. Sometimes even the slightest change to your financial status can alter your creditworthiness or disqualify you from being approved for a mortgage. When you close the sale of your home, it’s all yours – for better or worse. In most states across the U.S., the law tends to favor the home buyer and requires the seller of the home to disclose any issues with the home and to confirm they have been resolved. In other states, “caveat emptor” – or let the buyer beware – prevails. As such, it’s the buyer’s responsibility to make sure the seller has taken care of any loose ends like closing out building permits, released any liens from the real estate title report and, resolving any other issues that may affect clear title and conveyance of the home to a new purchaser. Our Metro Atlanta home buying advice… do your homework and know what’s expected in your state. The actual closing of the sale can occur in one of two ways. Most of the time, the two parties – the sellers and the purchasers – may not need to be in the same room to close the deal. The purchasers sign all the loan documents in an attorney’s office or lending institution, and the sellers sign the deed at the title company or attorney’s office. Some closings, however, occur at a table designed to accommodate the buyers, the sellers, the real estate agents, the attorneys and maybe others who pass the papers around to be signed and witnessed. This process is thought by many to be outdated and old-fashioned in today’s fast-paced, electronic world. Whichever closing method you experience, just remember with all the hype and build-up that has preceded the day of the closing, the actual closing itself is relatively uneventful, mundane and can be anticlimactic. So, you've read the Metro Atlanta home buying advice we’ve provided so far. What else is there to know, to do, or be prepared for? To ensure the smoothest, most seamless and least stressful closing of the sale, do some research and keep an eye peeled for those pesky red flags. With the professional assistance of trusted team members working with you, you can avoid a number of pitfalls that could delay or halt the closing of the sale. Having a qualified real estate agent is a great start. Your agent can refer and recommend you to the mortgage lenders, attorneys, title insurance companies, home inspectors and others. That's the power of using professionals in the real estate industry. They have a network of people and companies they’ve worked with over time in which they have confidence and trust. Tapping into that network will not only save time and money, it will give you the importance of peace of mind and the feeling of accomplishment that should accompany buying a home. Metro Atlanta home buying advice is valuable and should be listened to carefully – especially if it comes from experienced, knowledgeable real estate professionals who have your shared interests in mind – to make your home purchase as enjoyable and as successful an endeavor as it can be. After all, should it really be any other way? Read more about home buying advice in the section of articles on Atlanta Home Buying Tips just below our Atlanta Real Estate Categories in the column to your right. Remember, we also post tips daily on Facebook and Twitter. Check us out there, too. There are a number of Metro Atlanta homebuying mistakes that need to be avoided. Let's look at three very important tips that will help you avoid common pitfalls associated with buying your first home. Anticipating your needs will go a long way in assisting you in the process you're about to undertake. In addition, it will help make the experience a potentially fun and rewarding one. We're reminded of a true story about one first-time homebuyer who had scrimped and saved diligently for several years to accumulate a down payment. However, because he was self-employed he worried whether he would have enough for a sufficient down payment and if he would be able to qualify for a mortgage since he didn't earn a "traditional" salary like most young borrowers who work for somebody else. The above story about the first-time buyer, we're glad to report, did have a happy ending. The prospective homeowner sought help from a local HUD-approved housing counseling agency who reviewed his credit score, advised him on making some minor changes, and provided him assurance he could qualify for a HomeReady mortgage through Fannie Mae. The HomeReady program allows borrowers to pay as little as 3% for the down payment. In addition, it requires completion of an online education course. With the help of a professional, our first-time buyer was able to qualify for a low down payment mortgage – with his self-employed income – and purchase the home he wanted. Lack of knowledge can be the single most detrimental problem to overcome for any first-time homebuyer. Fear of the unknown is likely the cause of many young buyers remaining on the sidelines when it comes to participating in the homebuying market and avoiding Metro Atlanta homebuying mistakes. The irony, however, is that in today's informational age there is a wealth of knowledge available to prospective homeowners with just a click of the mouse. Virtually every reputable real estate company and hundreds of publications – both in print and online – provide easy to follow guidelines concerning how to go about searching for a home to buy and financing the home you choose. Armed with a basic understanding of what is involved in shopping for a home, how to obtain information on homes for sale, and the various financing options available a first-time home buyer can and will have an advantage that comes with knowing what to expect. The old adage, "Knowledge is power" certainly rings true when it comes to avoiding Metro Atlanta homebuying mistakes. While it's both enlightening and educational to do some preliminary online home shopping, it's probably not a good idea to strike out on your own and visit homes you like. As we've mentioned above, talk with a housing counseling agency, a real estate professional, or a mortgage lender to help you better understand if you're fiscally ready to buy a home or continue renting. Statistics provided by the Zillow Group Consumer Housing Trends Report show that just 46% of buyers were able to buy the first home on which they issued an offer. This confirms that in a fast-paced real estate market, competition and disappointment go hand-in-hand. It's probably a good idea – and good business – to enlist the aid of a professional to better enhance the outcome. Many real estate professionals recommend first-time buyers get pre-approved before they begin the home buying process. Pre-approval can include the completion of a mortgage loan application and the submission of pertinent supporting documentation such as tax returns, W-2s, or pay stubs to verify income. In addition, a preliminary credit report can be ordered for those prospective applicants concerned about their credit scores preventing them from qualifying for a home mortgage. In addition, real estate agents and mortgage lenders advise first-time home shoppers that just because you're approved for a certain price range doesn't mean you should necessarily spend the entire amount. We suggest using your pre-qualification amount as a guideline to demonstrate what you may be able to afford and compare that to what you can comfortably afford to pay each month – taking into consideration your other monthly expenses. The bottom line here is, look at only those homes that are in your price range and that you can comfortably afford. This is a better plan for avoiding Metro Atlanta homebuying mistakes financially. Recent research cited by Fannie Mae shows just two-thirds of prospective borrowers actively received more than one mortgage interest rate quote. Comparison shopping for the best interest rates, terms and conditions will give you a better selection from which to choose, and will ultimately give you peace of mind knowing you considered other mortgage options. In addition, if you don't take the time to shop around, you could be spending thousands of dollars more than you need to over the life of your mortgage. Read more about home buying tips in the section of articles on Atlanta Home Buying Tips just below our Atlanta Real Estate Categories in the column to your right. Remember, we also post tips daily on Facebook and Twitter. Check us out there, too. Many potential purchasers seek Metro Atlanta home buying advice as they prepare to search for a home. These prospective homeowners usually have several things in common – they are all concerned about issues that may arise during the home buying process. Let’s take a look at the five biggest fears first-time homeowners have as they enter the market. Whether it’s a starter home, an older home, or a fixer-upper, one of the most frequently asked questions from purchasers seeking Metro Atlanta home buying advice is what happens if a home has an issue discovered by a routine home inspection. While most older homes require routine maintenance home inspectors will note in their report, some homes can have more pressing problems. Home issues like a cracked foundation, a leaky roof or dry rot need to be addressed as soon as possible. As the prospective purchaser, if you still want to buy the home, we suggest you discuss the issue with the seller – including the estimate given by the home inspector or repair contractor – and attempt to negotiate a reduction in the sales price or a credit to be applied toward the necessary repair work. If you can’t reach a satisfactory agreement, move on. There are other homes out there – that don’t have major problems with which to contend. When you find a home you’re interested in and and are presented a contract to sign, prospective buyers typically are required to include an earnest money deposit ranging from 3%-5% of the sales price. Earnest money is held in escrow to be applied to the sales prices once the deal is consummated. And while there are few scenarios in which buyers actually lose their deposits, it remains one of the most popular concerns from those looking for Metro Atlanta home buying advice. Remember, there are certain contingencies in every sales contract, and your real estate agent can assist in reassuring you that if those contingencies aren’t met your earnest money will be refunded. As an example, your contract may include a contingency that the home appraise for an amount equal to or greater than the sales price. If the appraisal is less than the sales price, not only will it potentially affect your mortgage financing, but it may signal you’re in danger of overpaying for the home. Our advice is to negotiate with the seller if you still want to buy the house. Another concern expressed by homeowners asking for Metro Atlanta home buying advice is the possibility they will lose the chance to buy the house they want. True, if you find the home that best fits your needs and budget, you should be prepared to move quickly. In hot markets – especially with limited inventory available – it’s not unusual for certain homes to receive multiple offers. While we don’t recommend overpaying for a home, consult your real estate agent as to what you can do to ensure your chances of getting the house you want. Be prepared to negotiate, if necessary. In addition, the faster you can offer the sellers a closing date the more attractive your contract may be, so have your proverbial ducks in a row. We suggest being pre-approved for financing and having your down payment in place so you can demonstrate to the sellers you’re prepared to close as soon as possible. Keep in mind, however, your biggest competition will come from those prospective buyers that may make higher offers – especially if one or more of those offers are from cash purchasers who don’t have to rely on mortgage financing. All real estate professionals are not created equally. Sometimes, prospective buyers feel their agents don’t have their best interest in mind or perhaps they just aren’t on the same page when it comes to the home search process. Our advice? If you feel uneasy about working with your agent, discuss your concerns and see if you can reiterate your expectations. If that doesn’t work – or if you choose not to have a heart to heart talk – find another agent. The best suggestion we can provide is to meet with your prospective agent as you consider beginning your home search and interview them. If you don’t feel a connection or don't feel you'll be able to work closely with them, move on and talk to other agents until you find one you're more comfortable with. Never settle on working with an agent you have concerns about. Chance are, your first instincts will end up being true. The best piece of Metro Atlanta home buying advice we can give is not to rush into buying a home. Remember, it's a decision that represents the single largest purchase you’ll probably ever make – so, treat it that way. If you have a timetable, plan ahead and allow for a contingency as you approach your deadline. As an example, if your lease if coming up for renewal and you’re concerned about finding a house before it expires, don’t rush into buying just any home that's available. Consider an alternate approach – you don't have to buy – perhaps you can get a short-term extension on your lease or find another rental property offering a month-to-month lease to give you sufficient time to shop for your home without the pressure of meeting a certain timetable. Lastly, prospective purchasers interested in Metro Atlanta home buying advice should remember this: If you’re concerned about any aspect of your home search or mortgage lending process, take it slow and follow your gut. As mentioned before, a home purchase it an important step and a huge financial investment – treat it as such and you’ll be sure to enjoy the process more by having greater peace of mind. Read more about home buying advice in the section of articles on Atlanta Home Buying Tips just below our Atlanta Real Estate Categories in the column to your right. Remember, we also post tips daily on Facebook and Twitter.. Check us out there, too. The Metro Atlanta home buying market is full of experience as a dynamic, ever-changing process. Because it’s a “slice of life,” shopping for a home can often present you with challenges at best and disappointments at worst. To be prepared for the challenges and to minimize the disappointments we’ve identified five ways you can re-position your home search requirements – and make it a more enjoyable and more successful project. The Neighborhood or Market: Regroup, rethink or retreat. If you’re consistently unable to find the “just-right” home you’re looking for in the neighborhood or market you’ve identified as where you’d like to live, do a quick reassessment. Perhaps you’ve set your sights in the Metro Atlanta home buying market too high and can’t find the size, quality or style home in the price range you hoped. Conversely, maybe you keep looking at homes you can most comfortably afford, but they don’t meet your family’s needs. It may be time to take a closer look at other neighborhoods to see what they have to offer. After some regrouping and rethinking, you can do a little more research in other neighborhoods. You may discover neighborhoods that were initially ruled out now present new opportunities. For example, you may find that a price tag of, say, $400,000 in one neighborhood or nearby market may provide “more bang for the buck” than that same $400,000 in a trendier neighborhood. If you still can’t find a suitable home, it could be time to retreat – meaning your expectations versus the reality of the housing market are out of line. You’re either expecting too much for where you’re looking, or need to reconsider what you’re willing to pay for what you want. Consider Cosmetic Attention: No, not for you… for the house! Let’s be honest, the choice between buying a “move-in ready” home that’s new or already been renovated versus one that needs remodeling is a virtual no-brainer. The time, talent, money and desire to undertake a home remodeling is often lacking among most people in the Metro Atlanta home buying market. As a result, there are homes in the market with attractive, popular locations that are 40 years old or more. Those homes won’t command nearly the attention and interest than the newer one – or remodeled one – a few blocks away. If you’re up for the challenge, however, older homes may be worth a look. You may find the money you can save in the difference in the sales price can be used to update the property. Best of all, most of the homes may require little more than some cosmetic attention – like fresh paint and refinished hardwood floors. Put Your Heads Together: Get on the same page. Many times, couples in the Metro Atlanta home buying market find themselves at odds over what they want in a home. He wants a bonus room to convert into a man-cave or an in-home office. She wants a larger laundry room or an additional guest bedroom. Being able to understand what each other wants and needs is not only the key to compromise, but it can save time and aggravation during the search for the home that satisfies both parties. See if You Can Come up With More Money: Explore your options. While we certainly don't recommend taking on a higher payment than you can comfortably afford, there are ways to use some creativity with the down payment or financing. Often homebuyers have difficulty with the remaining 5% or so of the down payment. Unfortunately, that 5% can prevent them from reaching their budget goals, and kill the deal. There are options, however. If possible, look into getting assistance from family members to use as part of the down payment. If that isn’t an option, there are lenders that offer mortgages with low down payments. Remember, just because one lender doesn’t offer a particular program you’re looking for, it doesn’t mean another bank won’t. Shop around – you may find just the solution you’re seeking. Don’t Force the Timing: It’s either right or it’s not. The Metro Atlanta home buying market isn’t right for everybody, all the time. With interest rates having been near all-time record lows for several months prior to their recent increase, real estate experts were saying it was the best time in decades to buy a home. While interest rates were low, home prices – and rental rates – were on the rise, making it difficult for first-time borrowers to afford down payments. So, many prospective homeowners were relegated to remain on the sidelines. The simple truth is this: The timing is only “right” when it’s right for you and your particular financial situation. So, don't force the timing. Homes are bought and sold every day and mortgage financing is available. Chances are, that’s not going to change – no matter who wins the presidential election! There’s absolutely nothing wrong with putting the brakes on your home search for a little while if that’s what you feel compelled to do. Too often, prospective homeowners are pressured into making a decision based on market conditions. Sometimes they’re pressured because an apartment lease is coming due and they need to renew or move. Again, if you don't feel ready to jump into the Metro Atlanta home buying pool, don’t. Many people find waiting can help them in the long run. It can give them added time to save money or decrease debt to afford a larger down payment. Other people use that time to work on improving their credit score. In addition, some prospective home purchasers simply may elect not to buy a home because they may be planning to relocate in a relatively short time. No matter what your reason for deciding against buying – it’s your decision. You may even look back and think it was the smartest thing you ever did. When it comes to buying a home or not buying, smart decisions are good decisions. Here are a few Metro Atlanta home buying tips for renters to consider if you're ready to take the big step toward home ownership. In addition to the basics like saving up for a down payment and deciding on a housing budget, there are other important considerations to address. Renters have become accustomed to paying a fixed amount of money during their rental term. For the most part that amount rarely changes until it’s time to renew the lease. For homeowners, it can be a slightly different story. There are four major components that comprise a homeowner’s monthly house payment. The monthly payment is made up of principal, interest, taxes and insurance, or PITI. Let’s take a brief look at each. A mortgage payment is the combination of principal and interest – the principal is the actual dollar amount borrowed from the mortgage lender, and the interest is the cost that’s charged for the money borrowed. On a home mortgage loan, the principal portion of the monthly payment reduces the outstanding balance of the loan. The interest is charged on the amount of principal still owed as the loan is slowly reduced. For a more in-depth look, search online for a mortgage loan calculator for an amortization schedule showing what portion of the monthly payment will be applied to principal and what amount goes toward paying interest. The taxes in the PITI acronym are real estate property taxes. The property taxes are determined and assessed by the county or municipality in which the home is located. While real estate taxes vary throughout the country, most experts agree the average tax bill equates to between 1%-1.5% of the value of the home. Real estate taxes are payable annually, however, depending on the type, amount and loan-to-value ratio (LTV) of the mortgage lenders may require you to include 1/12 of the estimated property taxes in each monthly payment. When the taxes are due and payable, the lender will pay the taxes out of the escrow fund. Insurance coverage is a requirement by most every mortgage lender. The lender will require the borrower to have sufficient coverage to repair or rebuild the home – their collateral, or security for the principal they loaned – in the event of a fire or other peril. As is the case with real estate taxes, insurance premiums can also be required by the mortgage lender to be paid monthly into an escrow account. Lastly, here’s another of our Metro Atlanta home buying tips designed to help understand the full cost of home ownership. If a prospective purchaser is considering buying a condo, there most likely will be an additional component to the PITI mentioned above: Monthly Homeowners Association (HOA) dues. The HOA fees help pay for those areas of the condo complex that are for the benefit of all the owners or residents. Examples are parking lots, landscaped areas, pools and clubhouses. In addition, the fees collected are designed to pay for routine maintenance such as painting the building’s exterior or replacing the roof. While most HOA fees are for condo complexes, more and more neighborhoods with common areas requiring upkeep and maintenance are forming homeowners associations, which will require dues. One of the most important Metro Atlanta home buying tips to be aware of involves your income taxes. Aside from the annual appreciation most homes enjoy, the most popular advantage of homeownership is the tax savings. Mortgage loan interest and real estate property taxes can be deducted from your adjusted gross income on your income tax returns each year. That, of course, reduces your taxable income – and your resulting tax liability. A popularly used relationship – and argument for buying a home versus paying rent – is the cost comparison of what a homeowner pays in PITI and what a tenant pays in monthly rent. While in theory the concept is good, the most accurate comparison is to analyze the after-tax savings of owning a home versus renting. For example, a $300,000 home may cost (after taxes) $1,215 PITI each month. Compare that to an apartment or home that rents for $1,200. On the surface the math may imply purchasing a home is a better investment. However, remember this illustration is based on a down payment of 20%, or $60,000. Among vital Metro Atlanta home buying tips is how to best and most affordably finance the purchase of a home. While 20% has traditionally been the amount most Americans assume is needed for a down payment, it’s largely a misconception. There are loan programs available today for borrowers with as little as a 3% down payment. As mentioned above, depending on the type of mortgage loan and the LTV ratio, a borrower will have to pay their property taxes and insurance premiums each month into an escrow. In addition, if the down payment is less than 20% or if the LTV ratio is more than 80%, private mortgage insurance will be required. Mortgage insurance protects the lender against the borrower defaulting on the monthly payments. Annual mortgage insurance premiums cost roughly .85% of the mortgage amount, so that needs to be figured into the monthly payment in addition to PITI. Using the example of the $300,000 home above, the monthly PITI (and mortgage insurance) would be roughly $1,995 with a 3% down payment with a 30-year fixed rate mortgage based on current interest rates. After taxes and all deductions, the total monthly housing cost would be around $1,600. Best of all, the down payment would only be $9,000 – plus whatever loan closing costs the purchaser would be required to pay. Since credit scores are very important when it comes to qualifying for the lowest interest rates on home mortgages, it’s important for prospective homebuyers to know as much about their credit as possible. If you’re a first time homebuyer and only have a few accounts, consider opening one or two new accounts. Be aware, however, that your credit score may decrease from 10-15 points when you open an additional account. Over time, though, as you demonstrate a good repayment history the score will increase. Just understand, this takes time, it doesn't go up in a week or a month. Here's an important Metro Atlanta home buying tip. A home search can often be fraught with unexpected costs – not only for first-time buyers, but even for the most seasoned home purchasers. If you’re in the process of looking for your first home, there are a few things you should know to keep hidden or surprise costs to a bare minimum. Unexpected costs can catch you completely off guard. More importantly, they can very quickly leave you under water on your new purchase right from the start. 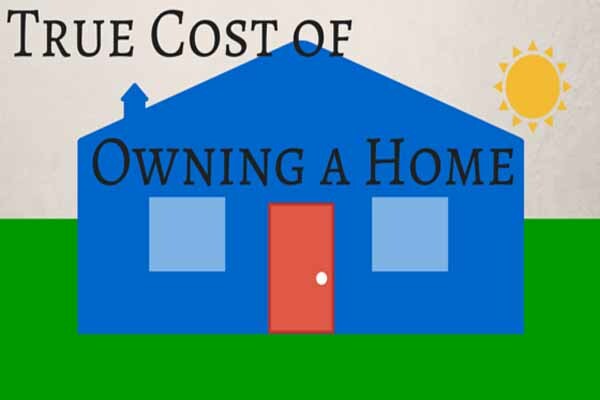 Let’s take a look at a few of these costs and how to best avoid them. Of course, there’s really only one sure-fire way to be completely prepared for all the hidden costs of buying your first home – expect the unexpected and have enough cash to pay for the surprises. However, that’s easier said than done. As you're probably aware, first-time home buyers should know the money they will spend on the purchase of their home won’t be limited to just the down payment. 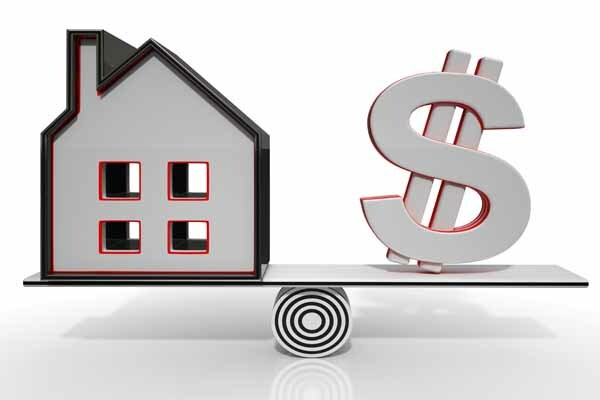 On top of the down payment are costs like homeowners insurance and loan closing costs. While they are a little easier to plan for since they’re an integral part of the home buying and mortgage lending process, others are less obvious. For example, let’s say the previous owners of your home moved out and took the refrigerator with them. You have to have a refrigerator, so you’ll likely buy one to replace it. Unless you negotiate specifically what items are included in the sales transaction ahead of time, you could be caught unaware. In addition, you could be on the hook for certain immediate home improvements that must be made. And while a few hundred dollars here and there may not seem like a lot individually, collectively the cost can add up fast – especially considering you plunked down most of the cash you had on the down payment and closing costs. 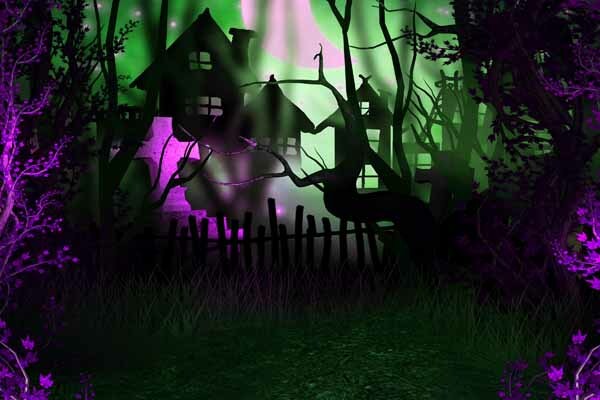 To make the situation even scarier, the relatively minor costs mentioned above could be the least of your financial concerns. When you buy your first home – or any home – you should hire a home inspector to give your home a thorough walk-through. 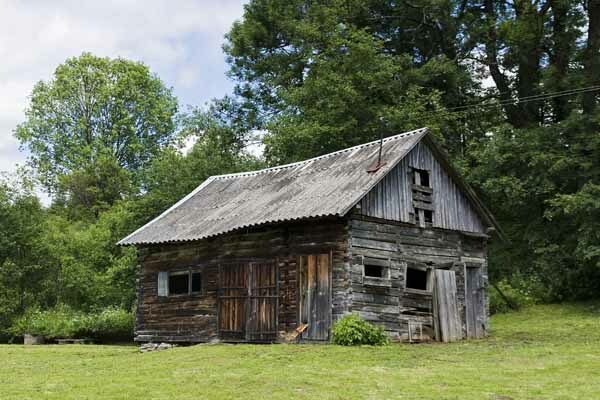 A trained home inspector will look for foundation problems, rotten wood, and electrical or plumbing issues. The good news is if a home inspection uncovers a potential problem, you’ll at least be aware of it and can get a cost estimate to repair it – if you decide to continue your plans to purchase the home. If the repair costs are a deal-breaker and you're unable to negotiate with the seller to pay for them, you can usually back out of the contract. Often, first-time home buyers elect to feather their new nest with all the creature comforts they want in their first home. If you enjoy cable television, for example, make sure your home is wired for cable. In addition, seemingly little things like new drapes or window treatments can be costly, so take them into consideration when it comes time to think about how to decorate favorite rooms in your new home. Lastly, if it’s your first home you’re probably migrating from being a tenant to being a homeowner, which means you’ll probably be faced with higher utility bills. Your new, modest 1,800 square foot home will likely cost more to heat and cool than the two-bedroom second floor apartment you moved from. Plus, you’ll probably be paying for other utilities your old landlord may have paid before, such as water, garbage pickup or homeowner’s association dues. The absolute best way to be ready for unexpected expenses is this Metro Atlanta home buying tip: Plan ahead. The first step is to come up with a budget before you begin your home search. If you’re looking for homes within your budget that may require improvements, find out what those improvements will cost and determine if you can afford them. Many first-time home buyers have been disappointed – or downright shocked – when they discover a home improvement project they thought could be performed for a few hundred dollars may actually end up costing several thousand. Another Metro Atlanta home buying tip: There’s no limit as to how prepared you can be. For example, say you find a home you like that’s priced considerably lower than others in the neighborhood because of its age. While you may save a good bit of money on the listing price, you may end up paying more in the long run due to nagging, needed improvements that may occur, or the realization your homeowner’s insurance is higher because of the home’s age. That’s why it’s best to be prepared. Do some research on homeowner’s insurance and comparable sales in the neighborhoods you’re interested in. Decide how much you can comfortably afford for a down payment, then assess how much cash you may have left for any improvements or incidental costs. Then – and only then – will you know whether you can afford a slightly higher-priced home that may require some additional work, new carpet or new kitchen appliances. So, before you enter the market, remember this Metro Atlanta home buying tip: Know what to expect. That alone will give you a tremendous advantage when it comes time to weigh the pros and cons of buying a particular house, and what the costs may be to either repair it, improve it, or make it comfortable and acceptable for your own individual tastes. 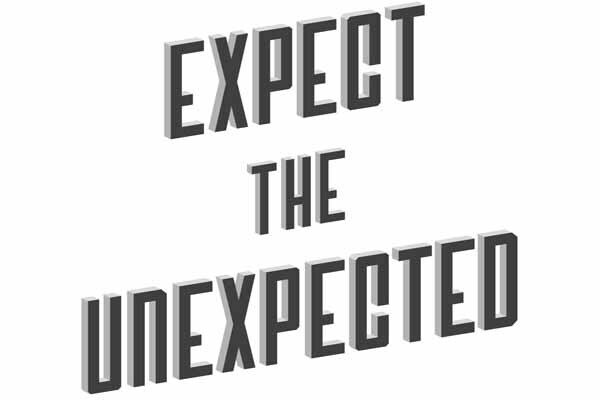 Planning ahead will not only protect you from unexpected monetary surprises, it will make your home buying experience more enjoyable and more profitable in the long run. Remember, buying a house is an important financial move, but it’s not worth depleting all your savings to the point where you can’t enjoy your new home. Read more about home buying in the section of articles on Atlanta Home Buying Tips just below Atlanta Real Estate Categories in the column to your right. Remember, we also post tips daily on Facebook and Twitter. Check us out there, too. The Metro Atlanta home buying market is comprised of prospects looking to buy. Some of them are empty-nesters planning to purchase their downsized “forever home.” Others are moving up, looking for a larger home in a more popular neighborhood. Still others may be shopping for their very first home, after weighing their options of continuing to pay rent versus building equity in a home of their own. Regardless of your motivations for entering the Metro Atlanta home buying market, we all want to make sound investments when purchasing real estate. Let’s examine a few ways you can increase the chances for making the right purchase. Most people who are looking to buy a home have at least a general idea of how long they plan to be in the home they will buy. If you’re planning to stay in your home for the next 5-7 years you’ll likely want to look at the buying process a little differently than if you were searching for a home in which to retire. It’s important for a shorter-term home purchase with a duration of 5-7 years to be positioned as a springboard for additional buying power for the next home you’ll want to buy. Here are a some suggestions to make this strategy a little easier. 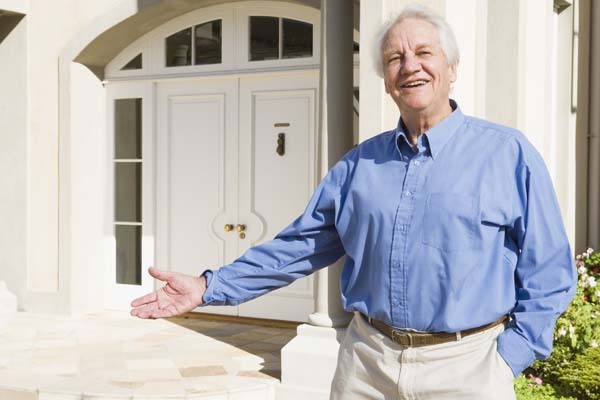 You can gain a wealth of information by talking to the residents of a neighborhood in which you’re thinking of buying. Visit a nearby grocery store, park, or bank and strike up a conversation with the employees or patrons and ask how they like living in the neighborhood. As you drive through the neighborhood, stop and ask residents working in their yards or walking their dogs and ask about their likes and dislikes. Most people are more than willing to give their opinions to prospective neighbors. Armed with that information, try to determine if the neighborhood is at its prime, past its prime, or up and coming. Is it where you want to raise your family for the next 5-7 years? Once you find a house you’re interested in, assess what improvements need to be made. Next, be honest with yourself in your abilities to take on the projects necessary versus hiring a home improvement contractor. Remember this: Smaller improvement projects usually yield a higher return on investment – primarily because they are less apt to create budget overruns and completion delays. In addition, you’ll be faced with the age-old decision that many prospective homeowners face – are you prepared to invest the time, energy and sweat equity to perform the improvements, or should you pay more and hire a contractor? An even bigger dilemma may be whether you move on to a different house that’s more to your liking that may be more expensive. If you’re thinking of buying a home and living in it for 5-7 years, we suggest stronger consideration be given to the return on investment. Why? Simply because most home improvement projects will be one-time only events. If your project ends up being a disaster and needs to be repaired or redone, you have less time to recoup your investment than if you were performing an improvement project on a forever home. While you’re living in the home, keep in mind that any home improvement projects are done with one main goal – to provide a higher return on investment at a later date. Of course, you want to enjoy your time in the home, so we’re not suggesting you can’t make improvements that will increase your comfort level. However, any substantial improvements should be performed for what they may ultimately do for the home and its resale value. Once you decide on a house to buy, remember this Metro Atlanta home buying market advice. There will be, no doubt, a list of things around the house you’d like to repair or modify to fit your specific needs. Make sure you concentrate on the projects that increase the return on your investment. Remodeling Magazine’s Cost vs. Value Report from last year says the highest return on investment will probably be enjoyed on smaller projects designed to enhance the curb appeal of your home. Examples are replacing the front door, the garage door and exterior siding. Most exterior projects yield a nice ROI, and simple projects like painting, changing door or cabinet hardware or light fixtures can provide your house with a customized facelift – minus the high labor costs. In summary, find a home with the best potential resale over the next 5-7 years. Have a plan of attack when it comes to neighborhood selection and improvements you want to make. Follow these suggestions as you enter the Metro Atlanta home buying market and you’ll probably be happier with your purchase – and your investment – when the time comes to sell your home. The Metro Atlanta home buying market is showing no signs of slowing down. In a recent survey conducted by TD Bank, 56% of homeowners across the nation feel it’s a ”good time” to buy a home. If you’re among those that are ready to start the home buying process for the first time, there are a few tips we’d like to share that may make your search more enjoyable, less stressful and ultimately successful. 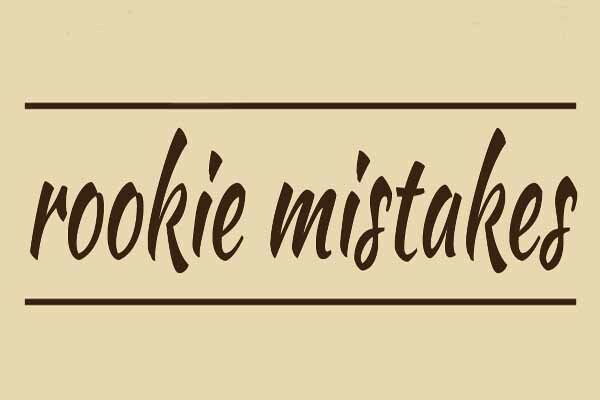 Let’s take a look at some of the first-time home buyer “rookie mistakes,” and how to avoid them. Watch your finances before buying a house. Keep an eye on your credit. Remember, taking on too much new debt or making a large purchase like a new car prior to the loan closing is a very bad idea. Your debt-to-income (DTI) ratio is one of the major considerations mortgage lenders analyze before the final approval process. Most people aren’t aware that lenders regularly review all the financial criteria used in the loan underwriting again before the loan closing takes place to ensure nothing has substantially changed. So, if you’re contemplating a new purchase, make sure you wait until after you’ve closed your loan and moved into your new home. Even then, make sure you can afford that new car, new furniture or second honeymoon. The last thing you want to do is create a financial bind immediately after you’ve bought a home. Get pre-approved for a mortgage before you start your home search. Often, first time homebuyers erroneously assume they can afford at least what they’re currently paying in rent. While that may be true, it’s best to sit down with a mortgage lender and get pre-qualified – that is, receive an early, non-binding commitment from the lender as to what they will likely be willing to loan you based on your credit score, DTI ratio and other lending criteria. Many sellers these days don't want their home being shown to anyone not already pre-qualified to purchase their home. Most real estate agents won’t show potential homes without a pre-approval. Don’t choose the priciest home you can afford. Most real estate experts advise against buying the most expensive house you can find and qualify for right out of the gate. Remember, just because you can afford it doesn’t necessarily mean you should buy it. Home ownership often requires unexpected expenses as time goes on. Repairs, insurance premiums and deductibles, real estate property taxes and other potential surprises always come at the worst possible time. If you’ve spent all your savings for the down payment of your home, you may not have anything in reserve to take care of these or other homeowner emergencies. Don’t prioritize the home over the neighborhood. It’s human nature for first-time homebuyers to get excited about the possibility of finding their dream home in the most popular neighborhood. Once they realize how far outside their budgets dream homes can be – especially in affluent markets – they often make the mistake of looking for that same dream home in a neighborhood that may not be as good. Don’t be pressured, take your time and be smart. Another Metro Atlanta home buying tip for first-time buyers is to slow down and take your time. While in today’s often-hectic market many buyers have to act fast to get what they want, the key is not to be pressured into making a decision you may regret later. Educate yourself as to what’s available in the housing market and what the median sales prices are. Remember, knowledge is power, and the more you know about what you want and what you can expect in the real estate market, the better your chances of making a wise purchase. Don’t rely too much on the Internet. The Internet has revolutionized the way prospective home buyers search for homes and get other information like mortgage financing tips, credit scores and more. However, it shouldn’t take the place of physically meeting or speaking with professional real estate agents, lenders and others during the Metro Atlanta home buying process. Don’t forget to visit and revisit the house you want to buy. Remember, the location of your house is fixed and will never change. For that reason, visit the neighborhood at different times of the day and night to see what’s going on around you. Is there a particularly loud bar or music venue nearby that you weren't aware of? If the house is located near an airport, what’s the traffic like at various times of the day? The more visits you make to the house and the neighborhood, the more you’ll be able to know what it will be like if you buy. Don’t skip the home inspection. Sometimes excited first-time home buyers think skipping the home inspection may be an easy way to save money. Besides, you’ve fallen in love with the home and there’s absolutely nothing that could possibly change your mind, right? Then you move in and are faced with maintenance or repair issues that could cost hundreds or thousands of dollars – a problem that may have been avoided with a home inspection. Don’t be indecisive. While we mentioned above not to move too fast and take your time before making a decision to buy, it’s just as important to actually make a decision when you have to. Some first-time home buyers run the risk of losing a chance to buy a particular property they like to another buyer if they don’t make a decision to act quickly. Although shopping around in the Metro Atlanta home buying market is usually a wise move, remember that indecision in a seller’s market means you probably won’t get the house you want.